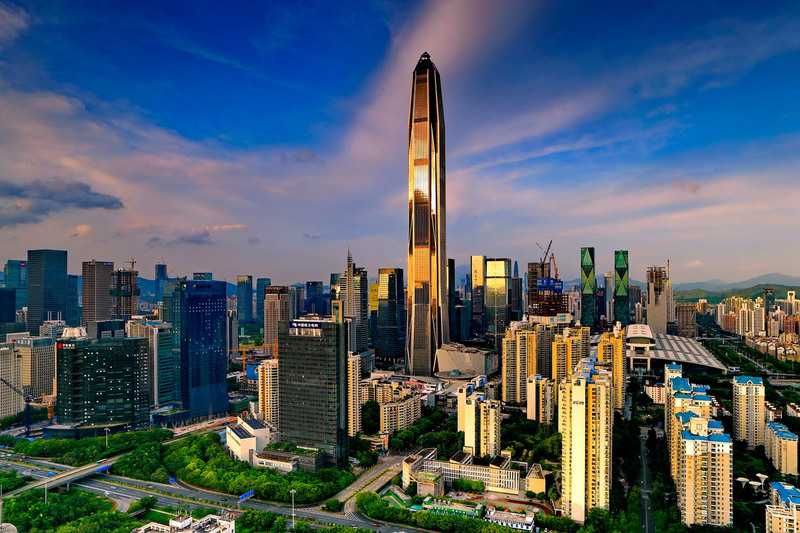 Designed by Kohn Pedersen Fox Associates (KPF), the Ping An Finance Center is located in the heart of Shenzhen’s Fuitan District. The building contains over 100 floors of office space located above a large public podium, with a multi-story atrium providing retail, restaurants, and transit options to the city and greater Pearl River delta region. The CTBUH describes the form of the tower as a “taught steel cable, outstretched by the sky and the ground at once. At the top of the tower, the façade tapers to form a pyramid, giving the tower a prismatic aesthetic.” The form is further emphasized by eight composite “megacolumns” along the building envelope that streamline the building for improved structural and wind performance, reducing baseline wind loads by 35 percent. Want more from ArchDaily? Like their Facebook page here.